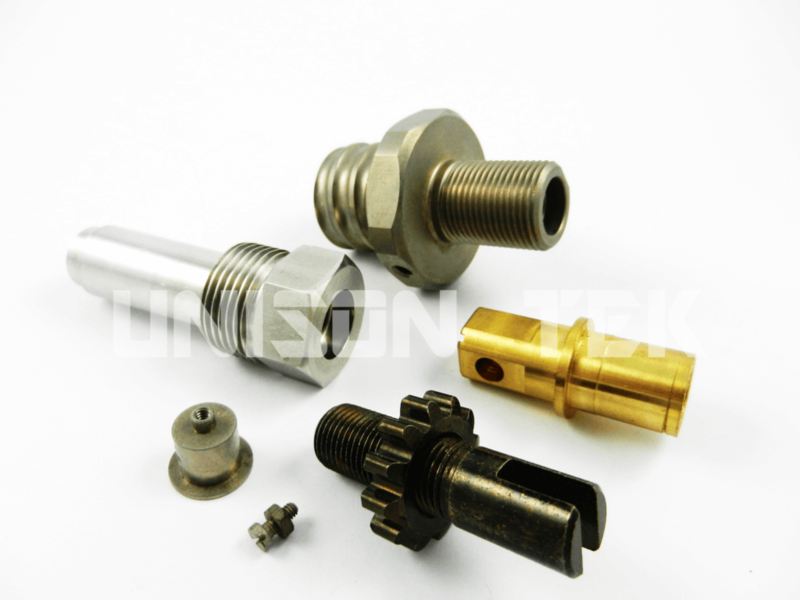 Machined parts - UNISON TEK CO., LTD.
We manufacture various kind of machined parts regardless of your requirements maybe. It is most important to know prior to selecting a particular machined part manufacturer what they are able to manufacture for you. A company may advertise the fact they are able to provide you with the desired result of the demand machined part, however you ought to look out for any outsourced business by the company themselves may be required in order to satisfy your demands. The degree of sourcing to other companies might resulted in you paying extra in the long run. This will also makes your supply chain vulnerable, as you are going to be dependent on a 3rd party company, so it stands to reason to search for a machined part manufacturer that can produce the components you require to the level of quality required by you without the need to outsource at all. The precise meaning of the term “machine” used in machined parts has evolved over the past one century and a half as the rapid advancement of technology. But In the decades of the 2000s and 2010s, when additive manufacturing (AM) evolved further away from its previous rapid prototyping and laboratory contexts and started becoming more and more common throughout almost every phases of manufacturing, the term subtractive manufacturing have come to cover practically any removal processes which also previously covered by the term machining, hence the term machining is used for machined process components. Machined parts are utilized in almost everything we rely on in our daily lives. They range from comparatively plain designs to components that required machining process on all different surface or with different tooling for every precise locations. Producing these custom machined parts in a way that is not only quick but also cost-effective can be difficult without the proper technology or expertise. Machining operations are processes that are required to produce the machined parts. Or the method to fashion them into the desire dimension and shape. There are multiple categories of machining operations, each of which is capable of generating a part’s surface texture or geometry. When using the turning method, a cutting tool that has a single cutting edge is used to remove material from a rotating work piece to create a cylindrical shape. The primary motion is provided by rotation of the work piece, and the feed motion is done by moving the cutting tool slowly in a direction parallel to the axis of rotation of the work piece. The main purpose of drilling is to create a round hole. This is accomplished by a rotating tool which typically has two or four helical cutting edges. The tool is fed in a direction parallel to its axis of rotation into the work piece to form the round hole. In boring, a tool with a single bent pointed tip is advanced into a roughly made hole in a spinning workpiece to slightly enlarge the hole and improve its accuracy. It is a fine finishing operation used in the final stages of product manufacture. Reaming is one of the sizing operations that removes a small amount of metal from a hole already drilled. Other conventional machining operations include shaping, planing, broaching and sawing. Also, grinding and similar abrasive operations are often included within the category of machining. Does the machined part manufacturer have the proper equipment and machines to produce the components you require efﬁciently. As with all the other business a machined parts manufacturer have to remain competitive. In the same time it needs to catch up with the latest innovation and new technological advancements. Innovation drives new fabricating technology which can resolve inefﬁciencies. Inventions and new technological updates brought on to the shop ﬂoor will always have great effects on the manufacturing process system. New and improved machine technologies can launch existing manufacturing processes into becoming more productive and more cost effective. This will able to let more parts being machined in a faster paste and orders completed in a shorter time-span. Machined parts provider constantly need to make sure of it invests in the correct tools and machines at the right moment in order to ensure they can remains competitiveness. Machined parts are used in every façade of life. But when it comes to high tech and precise machined parts. You’ll required a machining process that is lot more precise than manual machining. In fact, modern day CNC machines is so precise, the deviation in tolerance can be measured even on a cellular level. Most importantly, CNC machines are able to repeatedly produce the identical machined part over and over again. Thanks to the precision CNC Machines are able to achieve, even machined parts with the most complex shapes that are unachievable with manual machining can be mass produce in large quantities. Visit CNC Milling Parts , Stamping Parts , CNC Machining Service in Taiwan and Quality Inspection to get more info about our products, if you are interested in any kind of products, please e-mail to us to get a free quote. We already have high precision inspection equipments in Unison Tek, you could totally trust us to make sure that every precision metal parts our clients got is all right. Contact us and see our quality for yourself!